Project administration tool to manage hours worked. Get reminded not to forget to input working time. Instant synchronization with back-end system. Save money avoiding delayed invoices. Forgot to register the hours you worked? Tired of working with cumbersome time writing systems? 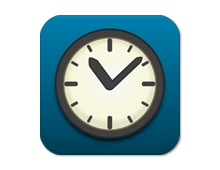 Not anymore: now there’s the Applified Hourly Registration App. Applified crafted a beautifully designed, fast and easy-to-use mobile application where employees can instantly submit the hours and projects they have been working on. It can easily be accessed on any mobile device. Anywhere, anytime you keep a log of the hours you worked. The mobile App not only speeds up the process of hourly registration, it also makes sure your there will be less delay and annoyances with your invoices. Applified seamlessly integrates this mobile App with your backend system. Try it now, its simple, fast and effective!